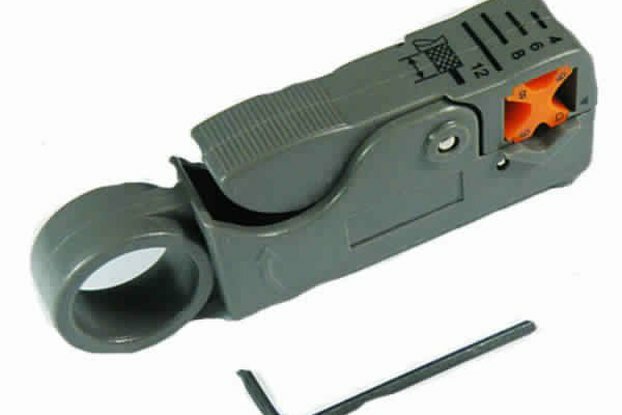 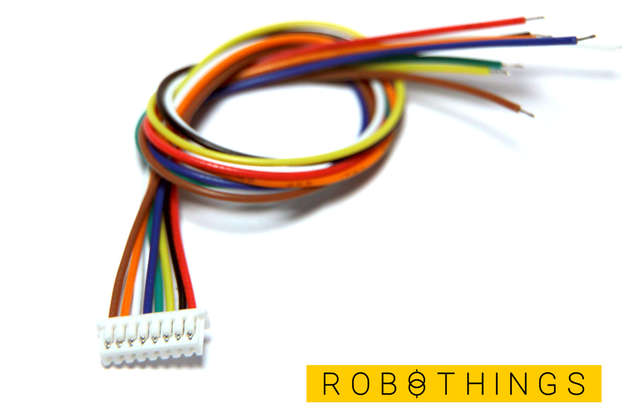 Replace your missing EX / HX External Floppy Drive Cable! 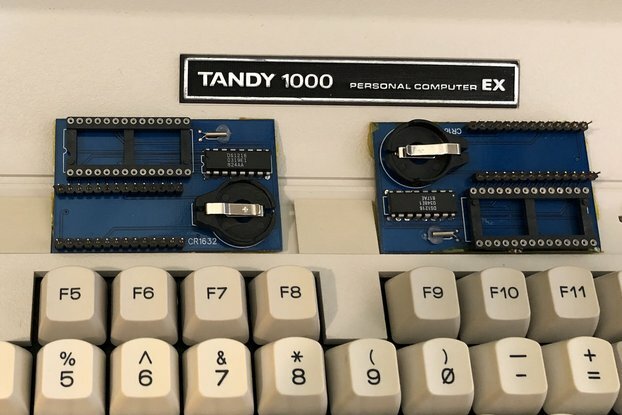 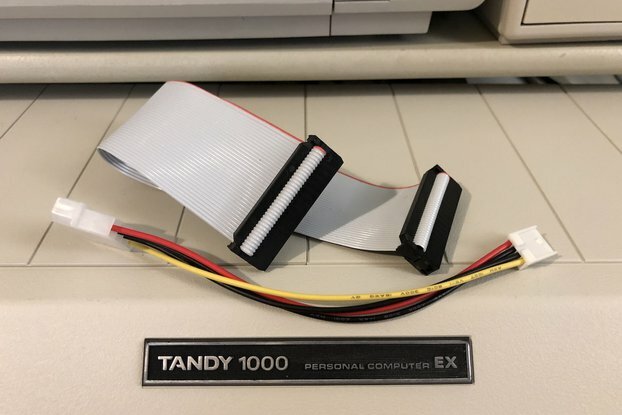 This Tandy 1000 EX/HX External Floppy Drive Cable Kit allows you to use your external Floppy drive with your Tandy 1000 EX / HX Machine once again! 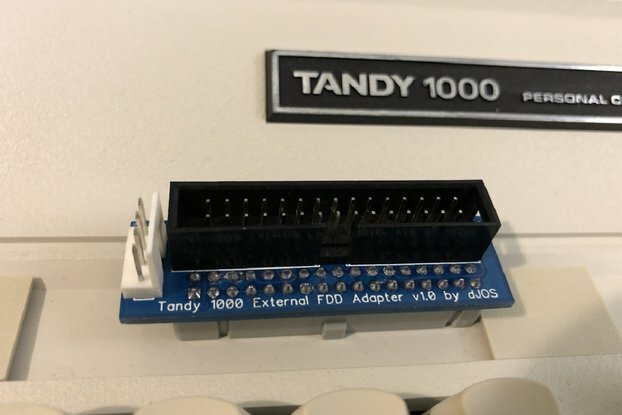 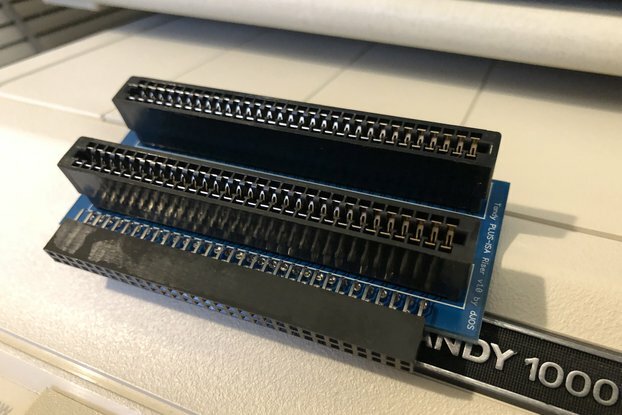 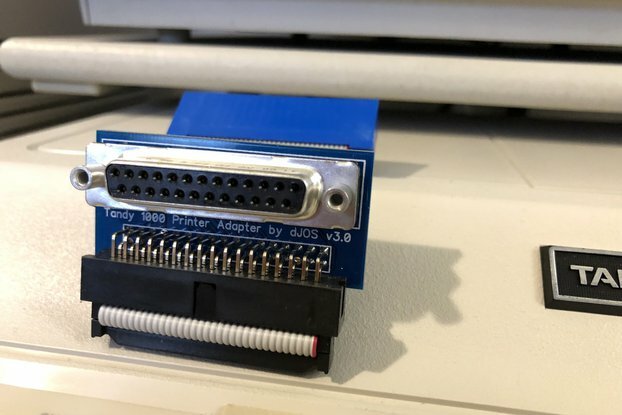 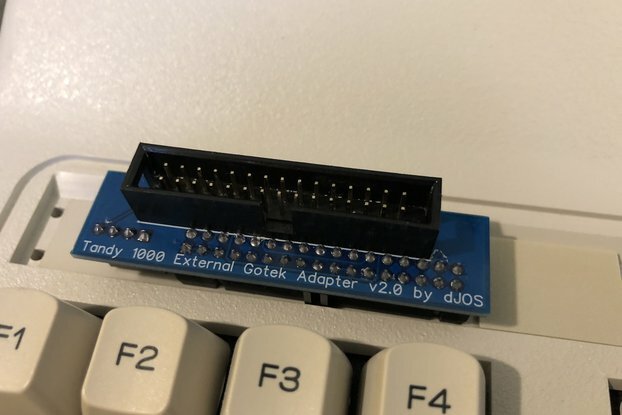 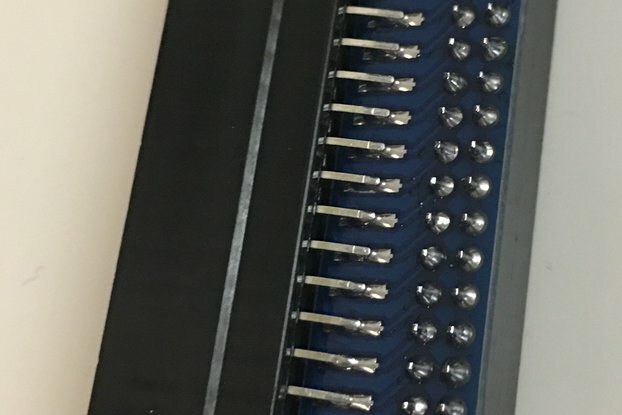 The 1000 EX/HX External Floppy Drive Cable Kit is modular and has 3 parts, the cable and the two identical edge to header adapters - as a result you can replace the end edge adapter with either of my 2 EX/HX external adapters for use with non-Tandy Gotek Virtual or PC 3.5" Floppy drives. 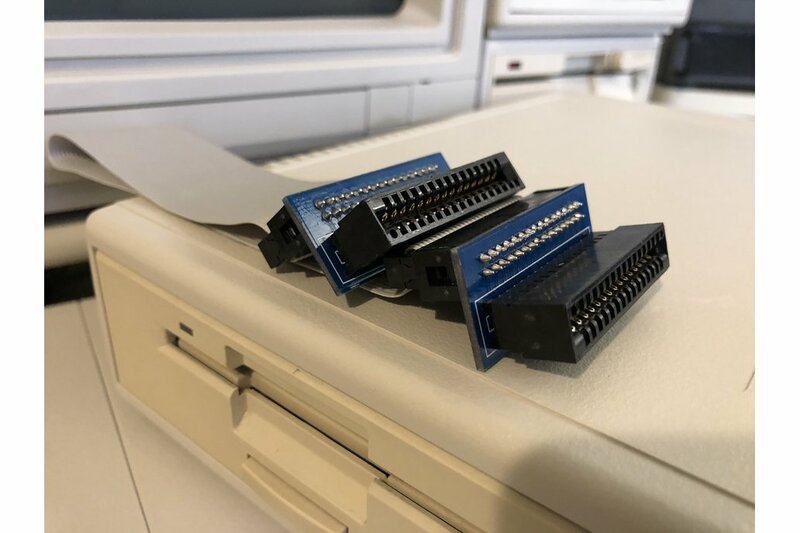 I made these because many folks, including myself, where missing their external floppy cables and couldn't use their external drives as a result. 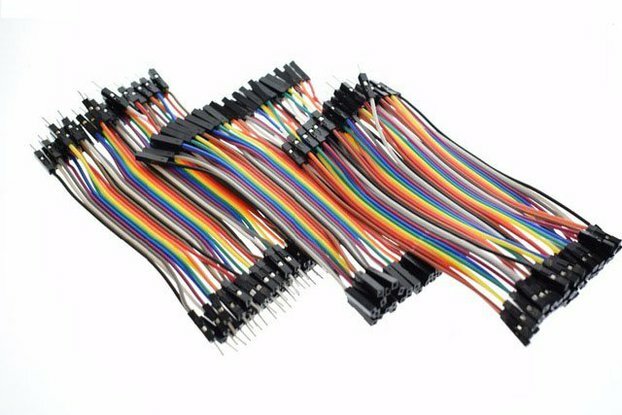 Kit's are fully assembled as shown. 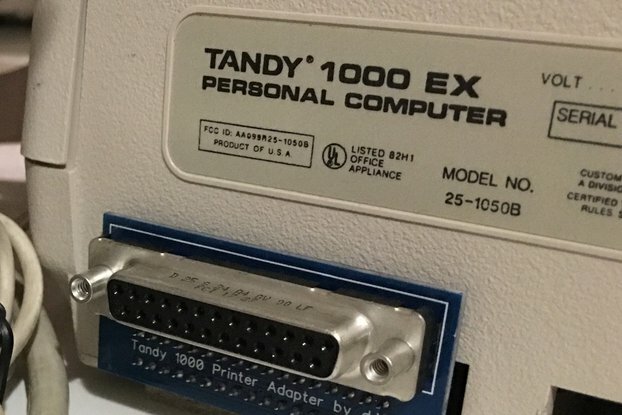 NOTE: ONLY the "Tandy 1000 EX/HX External Floppy Drive Cable Kit" is for sale, other items pictured are for demo purposes only.